Midway, Kentucky has been noted in many tourism publications as a great destination. Situated in the heart of Kentucky’s Bluegrass Region, Midway is home to some of the world’s top Thoroughbred farms. With a population of around 3,000 people, it is quaint town but don’t let that fool you. 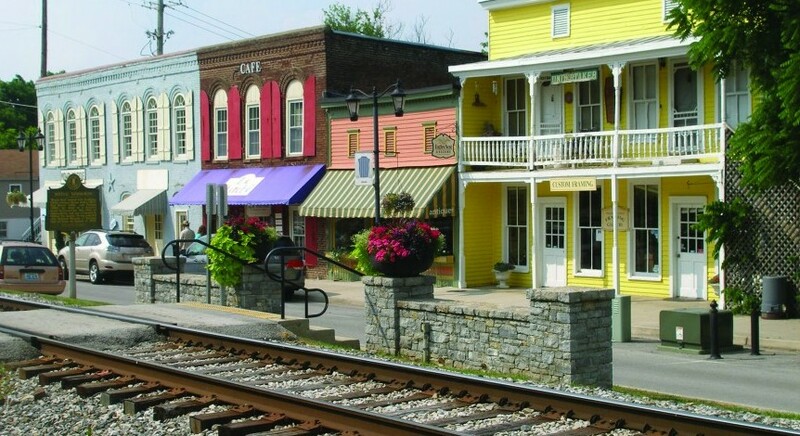 Daily visitors come to Midway from all around the world stopping by after visiting a horse farm or bourbon distillery to shop in the historic boutiques along Railroad Street and dining in some of Central Kentucky premiere restaurants. Midway University and the City of Midway work closely together. Many events hosted on the Midway University campus are open to the public and draw attendance from our neighbors around Midway and Woodford County. As well many events are held in Downtown Midway for all members of the Midway community to attend. Two of the largest annual events in Midway are the Francisco’s Farm Arts Festival held in May on Midway University’s campus and the Midway Fall Festival held the third weekend in September along Railroad Street in Downtown Midway. Download a walking map from Midway University to downtown Midway.